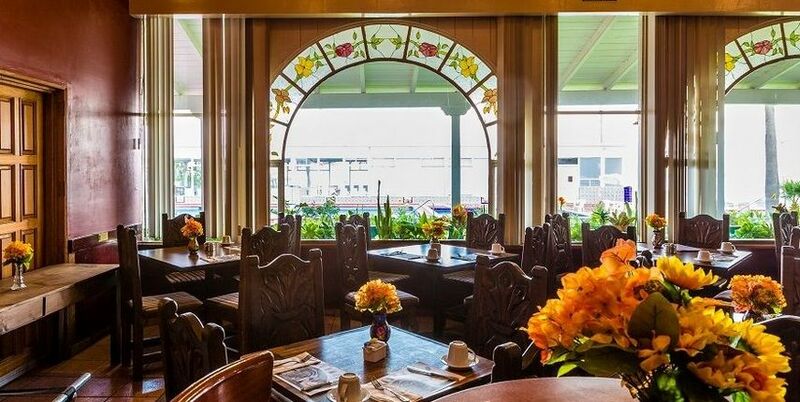 At the Rosarito Beach Hotel, your dining and entertainment options are as extensive as the coastline that stretches dramatically to our north and south. Enjoy a delicious meal in the warm Old World setting of the Azteca, or sample a traditional Mexican buffet at a folkloric ballet show in the Salon Mexicano. Then end your night with a cocktail in our historic piano or Beachcomber bars, Rosa & Rita saloon or looking out over the star-lit sea from our dramatic 17th-floor rooftop lounge. Decorated with wonderfully historical photographs of the hotel from 1926 to the present, it provides guests with an inspiring trip of the grand history of our legendary hotel.